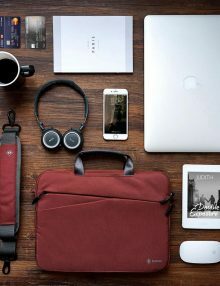 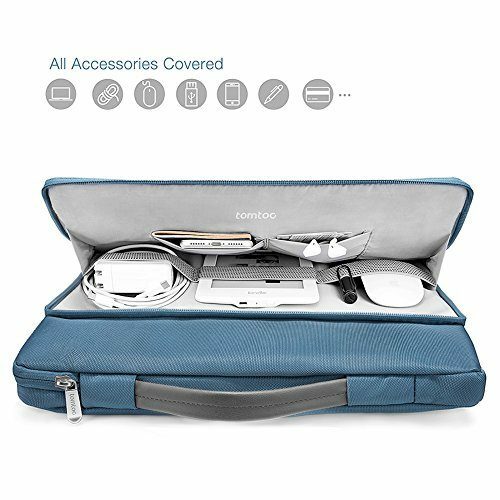 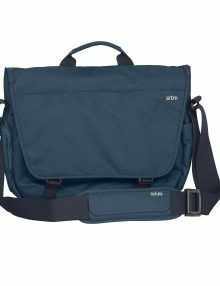 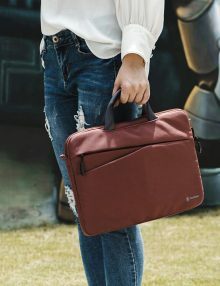 Organize Your Digital LifeIn addition to the central laptop compartment, tomtoc’s laptop case features a second large zipper compartment for additional storage. 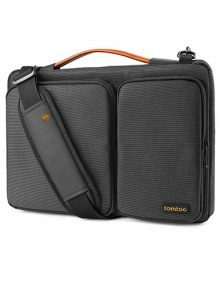 With multiple penholders, small and large pockets, and elastic bands, tomtoc’s laptop case makes it easier than ever to organize your digital life. 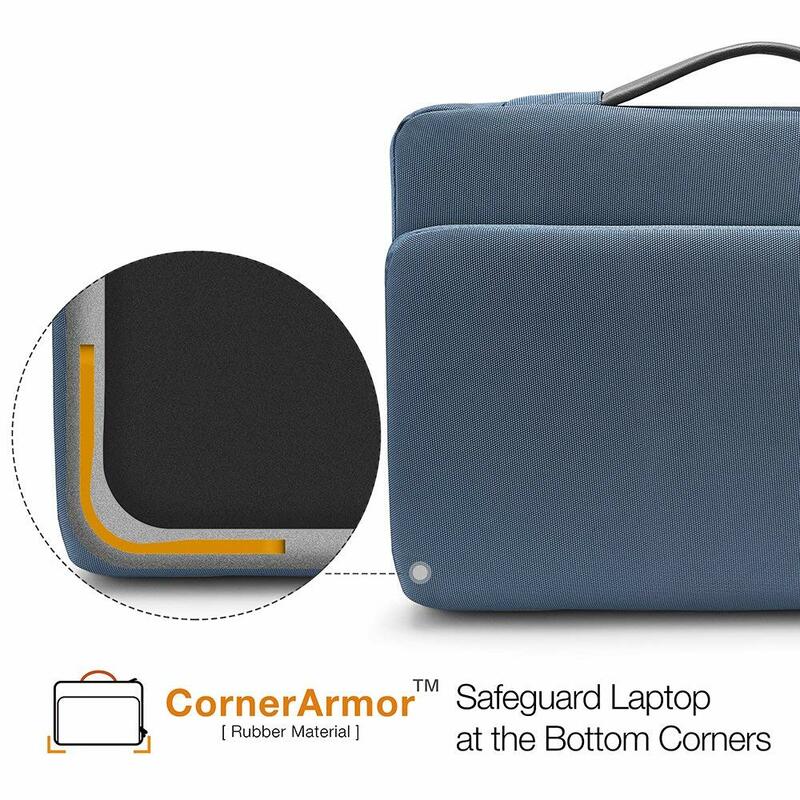 Ultra ProtectionFeatures ultra-thick, yet lightweight protective cushioning to ensure your laptop will remain safe from bumps, dents, scratches and spills at all times. 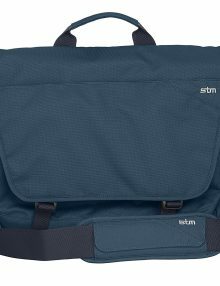 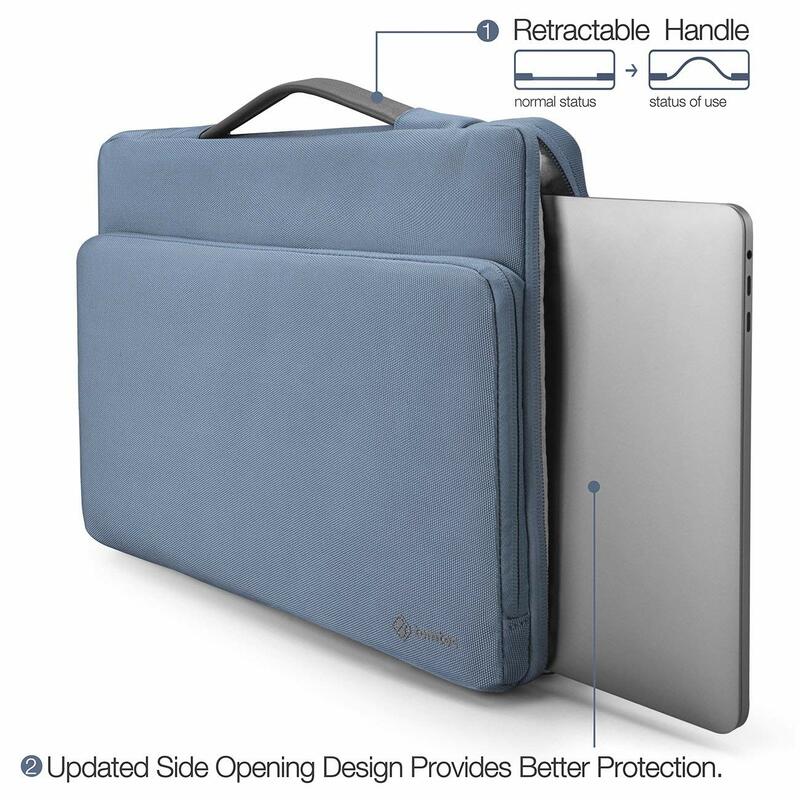 No-Snag Zippingtomtoc’s laptop case comes with an easy glide zipper that won’t snag or catch upon opening or closing. 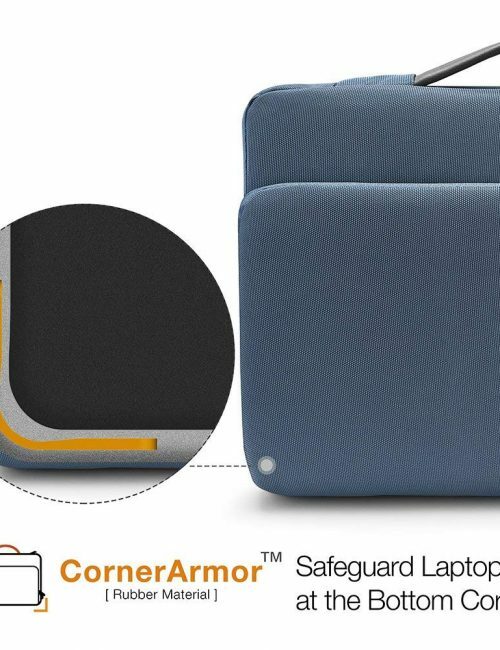 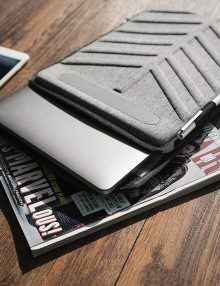 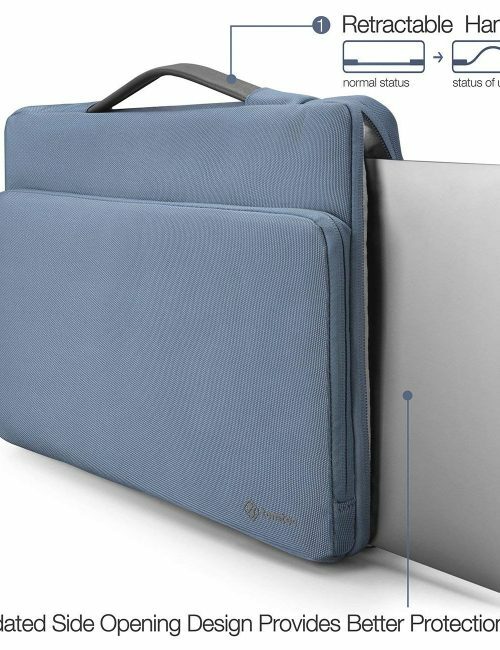 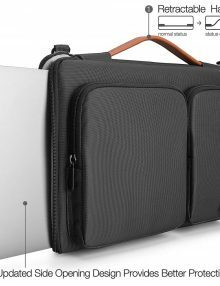 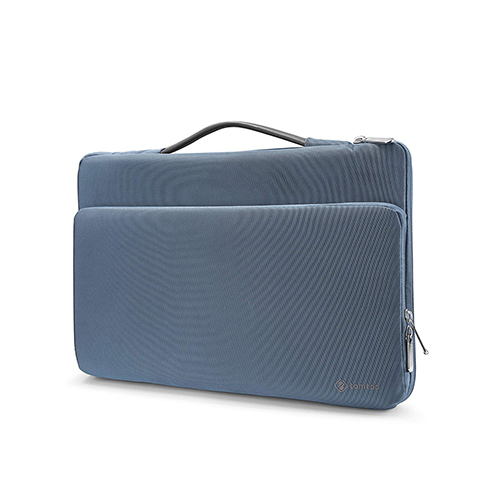 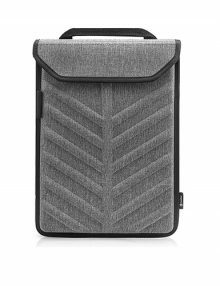 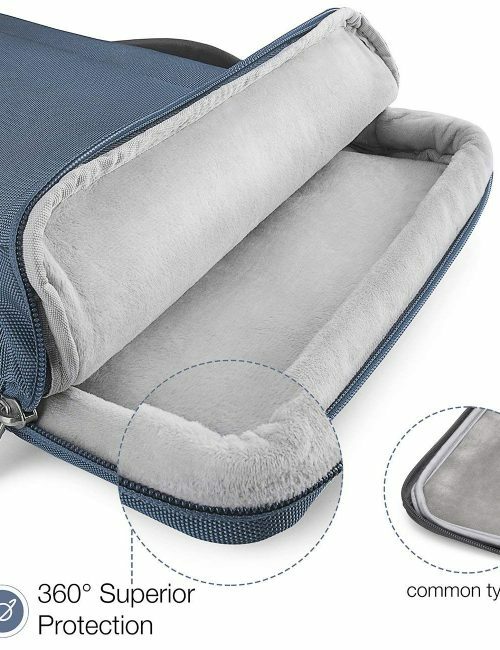 The case also features a thick protective ridge to prevent undue scratching and ensure separation between the zipper and your computer. 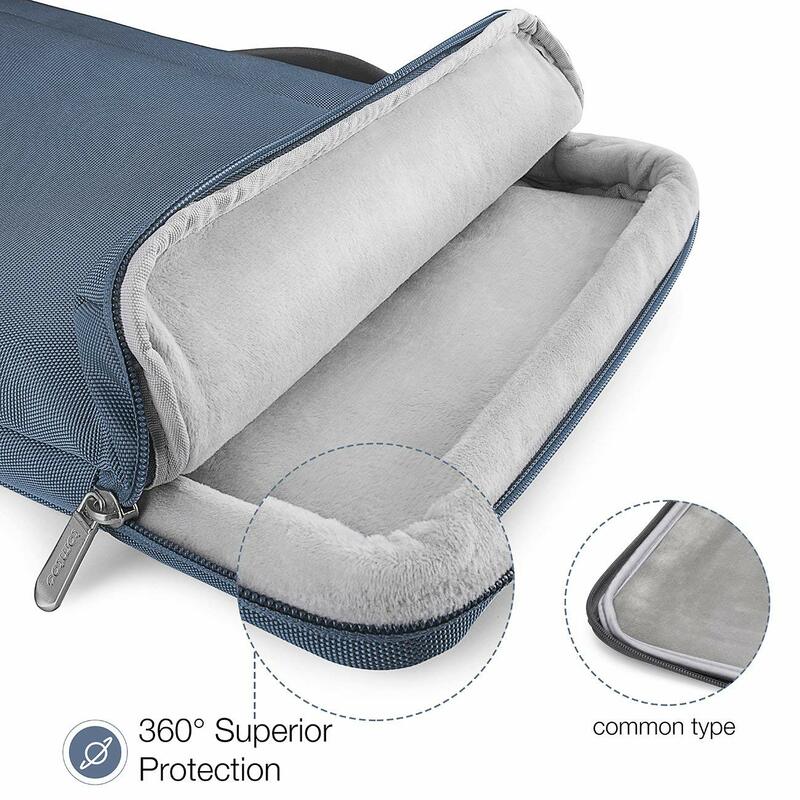 The zipper opens 180°, allowing for convenient entry and retrieval. 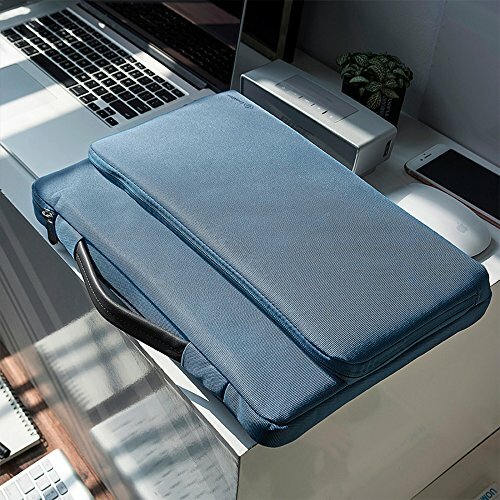 Compact and Easy to CarryBeing compact and lightweight, and can easily be carried on its own via the handle or slipped inside a backpack or briefcase.